I subscribe to Portland Monthly magazine, as well as their email newsletter. Last week I received this email. Seriously? 10% for cosmetic breast procedure booked in March. Definitely offensive to me. A good ad, but it disgusts me. What has this world come to? Does it make sense that I am offended? 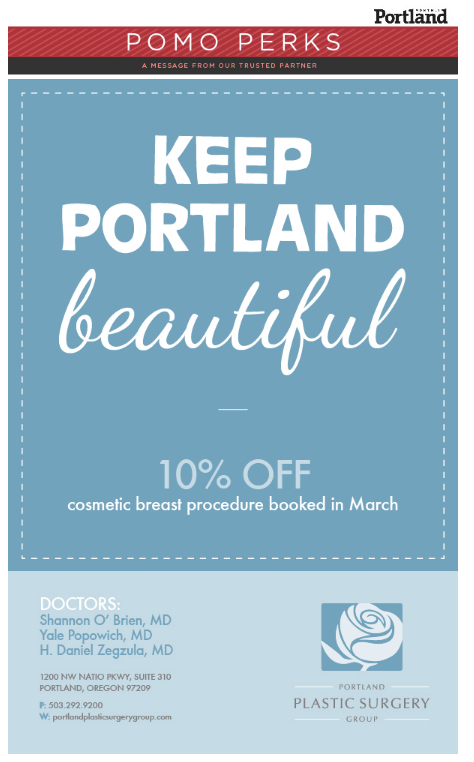 Tagged 10% off, beautiful, Breast, Breast augmentation, Breast surgery, disgusted, email newsletter, March, offended, PDX, Plastic surgery, PoMo, Portland, Portland Monthly, postaday, Seriously?